Season 5 League of Legends LoL 5on5 Ranked Matches in English. Playing like in Season 4 Jungle but switching to Top later on, which works out much better for us. This was the last ranked season we played team ranked, because we argued a lot and disbanded the team, sadly … tho we might make a comeback someday. We didn’t even notice it until the end but we played one of the matches against the German Youtuber HandofBlood where we just got deleted. 😀 Thinking back about it today (12/2017) we just weren’t goot enough back then. Join forces with your closest allies as you unite to defeat your foes in deadly multiplayer battle arenas. 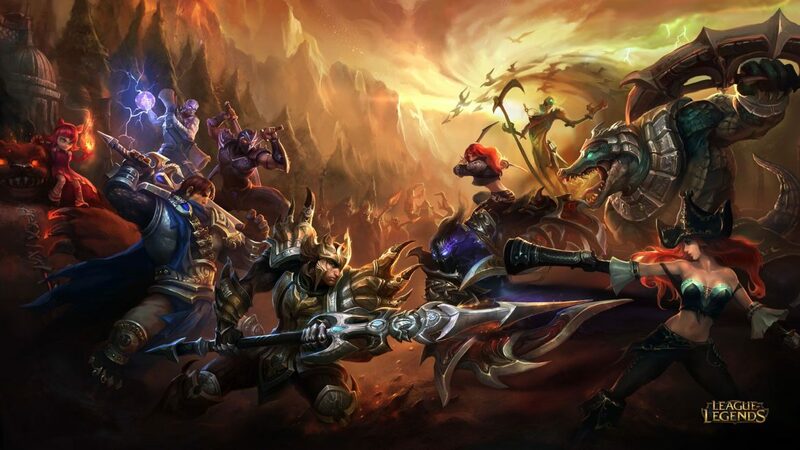 League of Legends combines elements from both strategy and role playing games to bring you a unique and dynamic player experience. As a Summoner, you will have your own distinct, customizable avatar that grows in power as you move through the game. In each battle you will select and call forth one of dozens of Champions to control and engage in head-to-head combat against teams of highly trained warriors. Choose your allies wisely, for the stakes are high. In the League, every battle means more than life or death as the balance of power shifts with each victory or defeat. Multiplayer Gameplay by Man of the West (2015). If you like the game please assist the developers and buy the original game or ingame content!